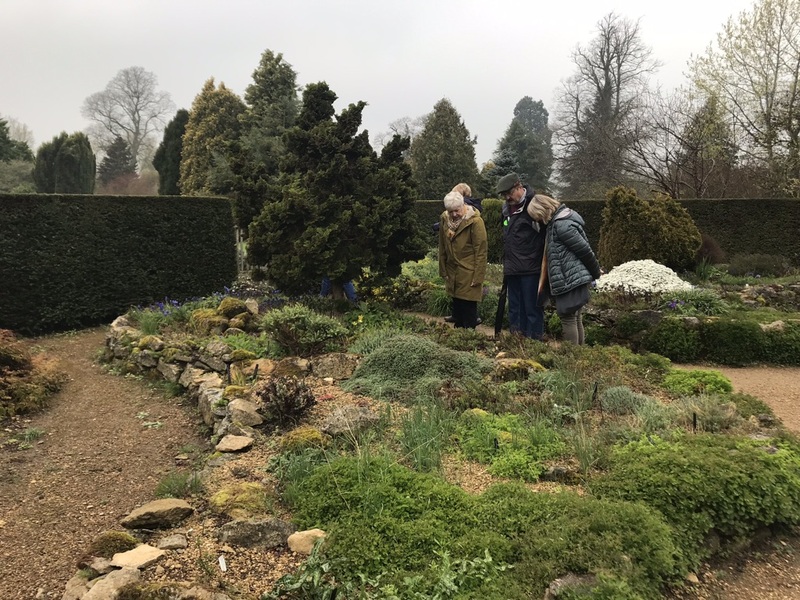 On Monday 8th April a small group took themselves to Waterperry Gardens to see what there was in the way of spring bulbs. The weather, which had been very damp on the drive over to Waterperry, proved to be kind to visitors. After a brief coffee to set us up, it dried up and there were even glimmers of sunshine as we wander round. We were fortunate that the fritillary meadow was at its best and the field running down to the river was full of daffodils. 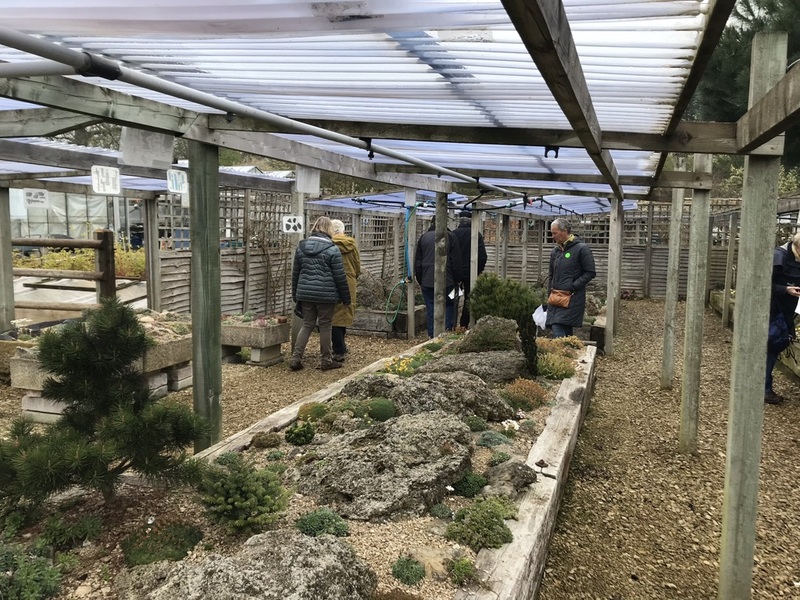 Other areas of the garden proved equally interesting, especially the Plant Heritage National Collections of Porophyllum and Ligulatae Saxifrages are housed at Waterperry. 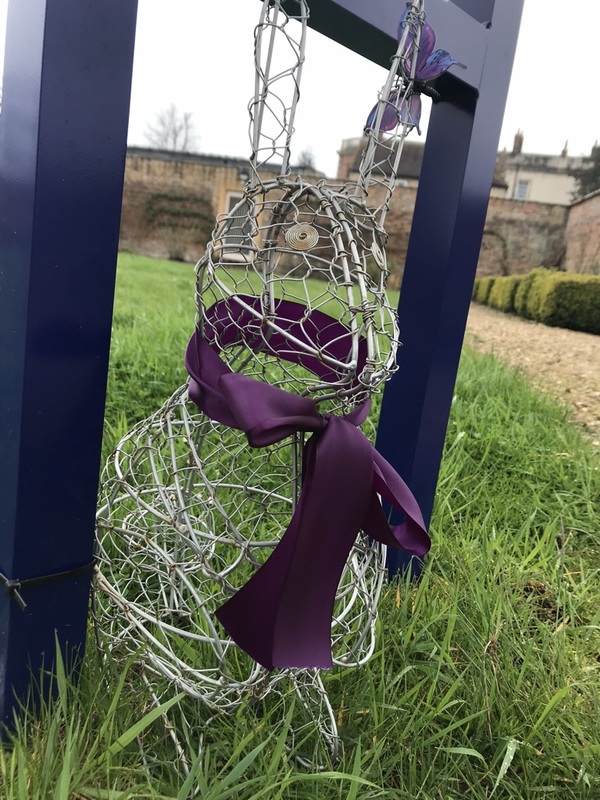 As it was the start of half term there were a few children enjoying themselves with the Easter Bunny hunt. We decided to leave them to it, although occasionally pointing them in the right direction. After our walk, some of us rounded off the day out with lunch at their excellent café.